At the request of carbon-powered AES Puerto Rico and Utility Solid Waste Activities Group (USWAG), the new head of the Environmental Protection Agency (EPA) Andrew Wheeler, authorized states and territories to suspend groundwater monitoring carried out in landfills and ash ponds, and ordered that the permitted levels of lead, cobalt, lithium and molybdenum be raised in those aquifers. Wheeler’s first reform will go into effect in a month and it will have the effect of hiding critical information from nearby communities, as well as allowing those who produce this waste to not have to respond for the pollution caused. In addition, because they ensure that “human health and the environment are protected,” the federal official said in a press release. However, nowhere in it, nor in the 82 pages of EPA’s new decree outlines how they will achieve that goal. In the directive, Wheeler also orders that the life of the polluting ash impoundments — which were due to close in April 2019 — be extended until October 2020 and authorized state officials to certify that the existing deposits meet “adequate” environmental standards, instead of certified professional engineers as established by the original regulations. 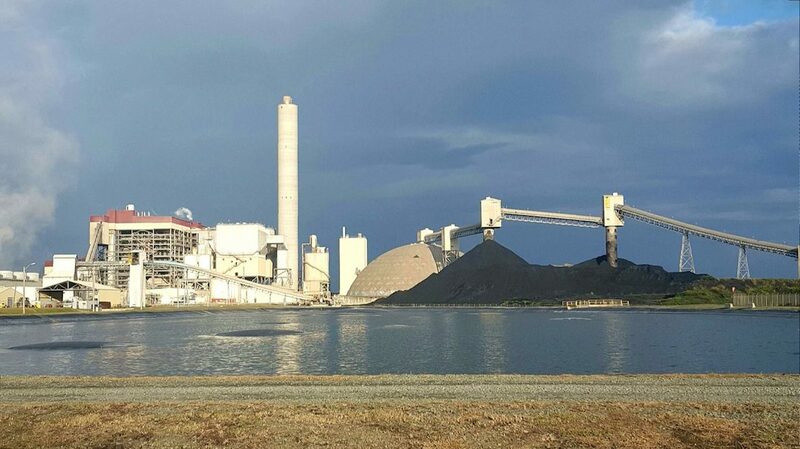 In September 2017, the entity unsuccessfully ordered that AES cover the 400,000 tons of coal ash piled outside its industrial headquarters in Guayama, after public pressure due to the potential impact of Hurricanes Irma and Maria . Between 2004 and 2011, the JCA also endorsed that more than 2 million tons of ashes be discarded in 12 island municipalities, without a barrier or material that would prevent the transfer of their contaminants to the soil or bodies of water. Among the most dangerous were heavy metals such as arsenic, hexavalent chromium, cadmium and mercury. Studies paid for by AES Puerto Rico have shown that its mountain of ashes is releasing some of these elements to the groundwater and that this contamination migrate to other places. Among the claims that AES raised for the EPA to dismantle the current standard for handling ashes, its legal representative Samuel B. Boxerman emphasized the “economic burden” that these regulations represent for the company. It also demands that the agency “take immediate action ” to postpone the requirement of preventive security measures and, consequently, the publication of its results. “An extension would ensure that the regulated community (of coal power plants) does not expend limited resources on elements of the RCC Rule,” he added. In its request to the EPA, however, Boxerman omits that in 2017 alone, AES Corp. reported a consolidated net income of $2.4 billion. In Guayama, for example, the second round of tests done by DNA Environmental confirmed “statistically significant increases” in all the items studied, information that Carmen Guerrero-Pérez, director of the EPA’s Environmental Protection Division in the Caribbean, confirmed to La Perla del Sur and the Center for Investigative Journalism. Among the elements that DNA examined were boron, chloride and dissolved solids. “That includes the three AES plants in Indiana, where the federal drinking water standards and health guidelines have been exceeded,” he continued. “Reversing the federal standards that the EPA adopted in 2015 is a negligence of the agency and will result in this pollution remaining in place, for many years to come,” Maloney added. “The (new) standard of 100 parts per billion for molybdenum is 2.5 times higher than the level of health recommended by the EPA itself ” said Lisa Evans a lawyer with more than 25 years of experience in environmental litigation and adviser to Earthjustice, an environmental law organization with a long history in the United States. “The EPA should have adopted the highest standards of health protection, but missed the opportunity to establish a lead level that reflects the current state of the science and that truly protects people,” Evans added. “The previous limits are the result of many years of study, of a lot of data corroborated by different sources and researchers,” he continued. “But we are seeing how they want to modify the standards to adapt to them (coal companies.) And it’s curious that it is happening now, when it’s already evident that contamination from these ashes is reaching the aquifers,” the FDA advisor further said. Between 1995 and 2009, he was one of the main advisors to Republican Senator Jim Inhofe, a confessed opponent of the climate change thesis with whom he pushed legislation to overthrow federal regulations on greenhouse gas emissions. In 2009, Wheeler joined law firm Faegre Baker Daniels to lobby for Murray Energy, one of the largest coal miners in the United States and a company owned by President Donald Trump’s prominent taxpayer, Robert E. Murray. Murray paid the firm $ 300,000 or more annually between 2009 and 2017 for lobbying efforts, according to records from the Center for Responsive Politics. Two months after Trump took office, Wheeler organized a meeting with the secretary of the U.S. Department of Energy, Rick Perry, where Murray presented him with an “action plan” for federal agencies to systematically favor the coal industry. The EPA has announced that it will submit a second round of changes to the Coal Combustion Residuals Rule (CCR Rule) on or before September 2018 and that they will be implemented at the latest, by December 2019. Among other issues, the federal agency said it will re-evaluate whether a pile of coal ash should be considered a landfill or a deposit of material for beneficial use something that AES Puerto Rico and its lawyer Samuel Boxerman claimed in writing to the EPA last year.